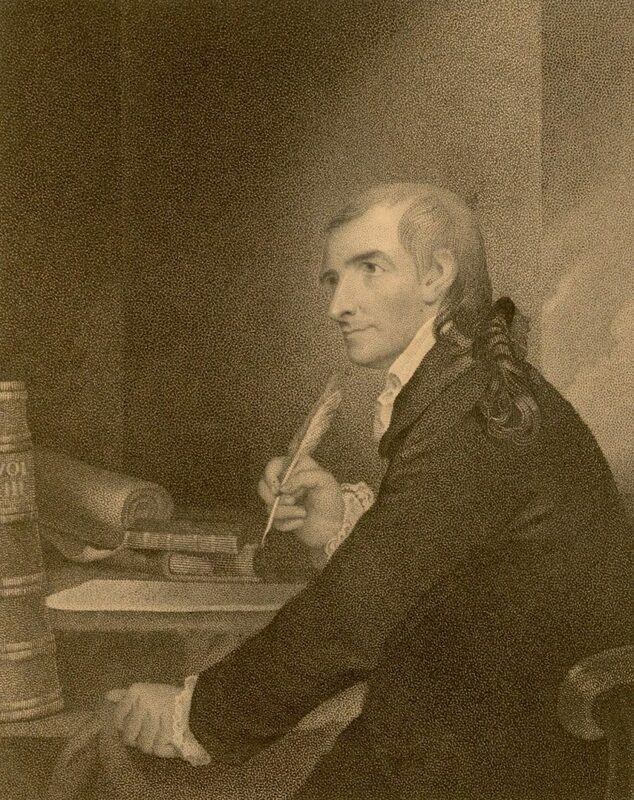 Hopkinson is best known for his role as an ardent patriot during the American Revolution. After studying law under Benjamin Chew, he served as secretary to the Pennsylvanian Indian commission, as customs collector for the port of Newcastle in Delaware, and then as a New Jersey Provincial Assemblyman. He resigned these last posts in 1776 because they conflicted with the revolutionary cause. In 1778 he was elected a delegate to the Continental Congress, and later was an active member of the Constitutional Convention of 1787. His judicial posts included serving from 1779 until 1789 as a Judge of the Admiralty, appointed by the state of Pennsylvania, and then from 1790 to 1791 as a Judge of Pennsylvania’s U.S. District Court. He was also active in the Library Company and the American Philosophical Society. Throughout his political career Hopkinson wrote poetry and satire on the politically derisive issues of the day. He penned a popular and humorous work on the 1787 Constitutional Convention. He was also an accomplished harpsichordist and composer. His work “My Days Have Been So Wondrous Free,” set to the words of Thomas Parnell’s “Love and Innocence,” is the first extant secular song by a native American composer. Francis Hopkinson served as a trustee of the College and Academy of Philadelphia from 1778 to 1791, acting as treasurer of the board in 1779. Because of his position as Pennsylvania Judge of the Admiralty, he also served 1779 until 1789 as an ex officio trustee of the University of the State of Pennsylvania, as the college was chartered by the new state government during the revolution. In 1791, the year of Hopkinson’s death, both these institutions would be united as the University of Pennsylvania. After his death on May 9, 1791, Hopkinson was buried in the historic Christ Church graveyard. However, his grave was insufficiently marked, so through the passage of years, all trace of it was lost. In the 1930s, after obtaining permission from his descendants, a plot that was believed to be that of Hopkinson was dug up in hopes of solving the mystery of his burial place. Part of a skeleton was found, and the bones were sent to Dr. Oscar V. Batson of the University of Pennsylvania for testing. After the anatomist successfully identified the remains as those of Hopkinson, the grave was marked with a proper headstone.